Metal recyclers have delivered a solicitor’s letter to Government threatening court action unless the ban on cash payments is delayed or proper guidance issued. A group of over 140 independent scrap dealers signed the letter to ministers, which is also backed by a rebel trade group launched earlier this month. The letter said the ban on cash payments for scrap metal is unclear in its scope, was not subject to proper consultation, and unfairly discriminates against licensed scrap dealers. The group has appointed a barrister and said it was prepared to take immediate court action if the government does not respond within seven days. The move comes just two weeks before the 3 December date when the ban kicks in. Amy Bird, director at One Stop Recycling in Coventry, has been coordinating the legal challenge. She told MRW the smaller traders who were most threatened by the legislation were mostly not represented by the British Metals Recycling Association (BMRA) in the Government’s consultation. "It has become clear we either have to shut up and be bullied into losing some of our businesses, or we stand up and try to do something about it," Bird said. She said the Home Office guidance on the ban only gave firms four weeks to prepare. According to Bird, dealers were not necessarily opposed to the ban in principle if there had been sufficient time and mechanisms to implement changes without damaging businesses. Bird said while she was keen to keep the battle against the ban on "a legal basis", many in the sector were angry and prepared to take more militant action. "I think if it’s not handled properly you’re going to see protests and people refusing to go along this road, and I think it could all become very messy." She added: "Why are we forcing businesses into this corner now, when we have a new bill [the Scrap Metal Dealers Bill] coming along?" Another group of dealers formed earlier this month to oppose the cash ban said it would throw its weight behind the legal challenge. The Metal Recycling Collective, launched by Jon O’Brien director of Simply Recycling Solutions in the east of England, has already signed up 178 members and raised £98,0000 towards court action. O’Brien told MRW the two rebel groups were in talks to join forces. "Together we’ve nearly got more members than the BMRA already", he said. Scrap merchants fear the legislation threatens the existence of a large number of small- and medium-sized businesses which, because they are not members of the BMRA, were not represented in the any consultation on the ban. Merchants say there have not received official notification of the law change and guidance on how to comply has been insufficient. The letter to ministers said: "No proper guidance or explanation has been forthcoming as to how small and medium-sized businesses can realistically move over to a cashless system with only a few weeks warning and without proper discussions with the financial sector as to the best way forward. "Likewise, it is not clear what will be regarded as lawful under section 3A of the 1964 Act as amended. With respect, small and medium-sized businesses are given little or no assistance by the very short Guidance document produced by the Home Office, which simply lists without explanation a number of electronic payment methods." The dealers also complain that loopholes allowing itinerant collectors and motor salvage operators to continuing paying with cash unfairly discriminate against licensed dealers. "The only other likely beneficiaries of this course of action are some of the larger traders who are in a strong position to introduce or expand the use of electronic payment systems and to negotiate favourable terms from financial institutions. Such companies may also obtain some additional business at the expense of small traders as a result of this statutory change. As such, this represents a classic case of additional regulation causing competitive harm to small and medium-sized businesses." Merchants said ministers must either delay the ban for a significant period to allow time for proper consultation, or otherwise issue guidance on how to ensure a level playing field for all operators. Director general of the British Metals Recycling Association (BMRA) Ian Hetherington, said his organisation had "fought hard" against the cash ban. He said "It’s more important than ever that the industry sticks together through this difficult time and works to prepare for the implementation of the cash ban. Trying to launch legal action against it is a fruitless diversion." Read Hetherington’s comments in full. A Home Office spokesperson said: "We have received the letter and will respond in due course. Prohibiting cash payments is a bold but necessary step; tackling the easy reward for metal thieves who are able to trade stolen metal anonymously." A consortium of scrap metal dealers is pressing ahead with a legal challenge to delay the introduction of a ban on cash transactions despite strong opposition from government solicitors. The Government is not going to change its mind. It must tackle metal theft and this way they will rasie millions more in declarable taxes. However the issuing of pre-paid cashpoint cards should also be outlawed! We agree wholeheartedly with tackling metal theft. However I would like to point out that the very people who are stealing are still allowed to pay cash between themselves, therefore, the legitimate business owners are the only losers until the new scrap metal dealers bill is passed. Lack of consultation has led to a loophole which will enable the uprising of a huge black market where 'itinerants' can pay people cash for scrap then drive up to scotland and receive cash for the goods! The Itinerant Trader exemption is misunderstood - it is a very specific exemption which requires a full police check and hardly anybody has it. I somehow can't see the majority wanting to drive all the way to Scotland to receive cash for their scrap. There has been a good amount of consultation but unfortunately many merchants have chosen to stick their heads in the sand and ignore the changes that were happening within our industry. This law came about 6 months ago and has been widely publicised both nationally and locally. home office guidance was issued at the end of October not 6 months ago. The law itself went through back in April, the whole industry were aware that these changes were coming. Fact. I fail to understand why some companies are struggling with the timescales for cashless, do they not have bank accounts? Amy and Steve has the full support of the Metal Recycling Collective and all its 182 members. We must support and guide the Government, to do this they need to take more advice other than just talking to the BMRA. 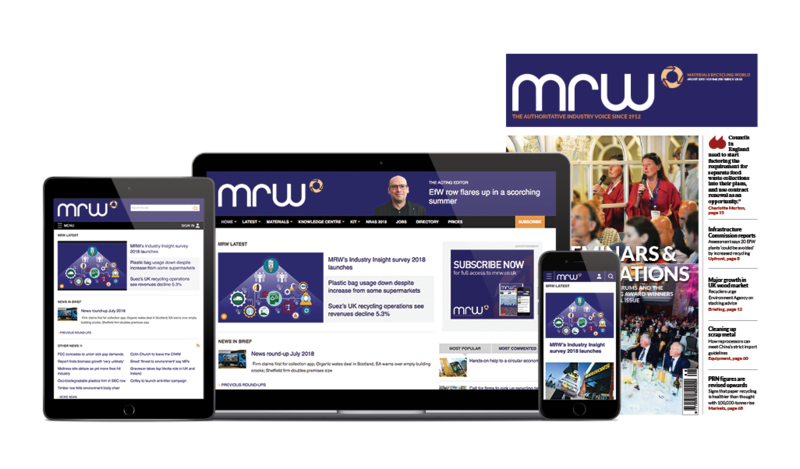 We are not a BMRA member...... in addition these changes have been publicised at great length within trade publications, local and national press and local and national television. It hardly comes as a surprise. I do have some sympathy but also feel that many within the industry have, as I said previously, just stuck their heads in the sand. The time for their opinion was 9 months ago. i totally agree with the Metal Recycling Collective and all other parties involved, and will be submitting my signatures later today. i am not a BMRA memeber and if it wasnt for the help of certain members that are i would not have any information.